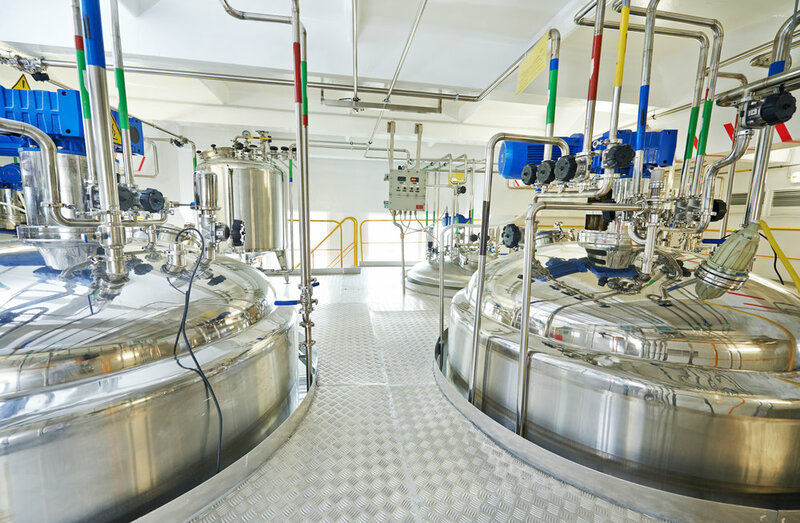 With over 30 years experience in chemical toll manufacturing, we provide the advantages of both technical expertise and a proven track record of success. Our business model enables us to identify the optimal chemical toll manufacturing location for your project requirements. By providing access to the right technology, equipment, and expertise on a project-by-project basis, we are able to shorten your product development cycle and reduce costs. In particular, we possess broad-based experience performing chemical toll manufacturing services such as distillation, recrystallization, solvent recovery, special solids-handling, double drum drying, and agglomeration. We also have wide-ranging reaction capabilities. For a complete list, please refer to our Custom Chemical Synthesis page. Our diverse and well-established chemical manufacturing capabilities position us as a single point of access for your project requirements. Furthermore, our clients are often able to reap the benefits resulting from our auxiliary support services, including logistics management, packaging and labeling, and drop-shipping.